Which has the most milk fat but no vegetable fat? In the case of milk fat, a higher amount in chocolates is considered to be better for consumers; for vegetable fat, there is zero tolerance. Apart from these vital parameters, six popular brands of milk chocolates were tested for cocoa solids – an important factor in determining the intensity of a chocolate’s taste. Clearly, not all chocolates are made equal, as the following report will reiterate. For consumers, it is more about what attributes they should prioritise when picking up one over another. Taste matters, of course, but it is largely a personal thing. There are important quality determinants and these are indicators of a superior product. Consider lead content – as per Food Safety and Standards (FSS) Regulations, lead should not be more than 2.5 mg/kg. The following report checks six brands of milk chocolates along these and other parameters to enable consumers to make an informed choice. You can see list of our CV Surveillance Series- Milk Chocolates below, perform Side-by-Side comparison. If you need further help, do have a look at Conzumr Guides and Tips. Alternatively you can view all Milk Chocolates to choose your own favourites. Milk chocolates: These are obtained from one or more of cocoa nib, cocoa mass, cocoa press cake, and cocoa powder including low-fat cocoa powder, mixed with sugar and milk solids including milk fat and cocoa butter. Plain chocolates: These are obtained from one or more of cocoa nib, cocoa mass, cocoa press cake, and cocoa powder including low-fat cocoa powder, mixed with sugar and cocoa butter. Blended chocolates: These are a blend of milk and plain chocolates in varying proportions. White chocolates: These are obtained from cocoa butter, milk solids including milk fat, and sugar. Filled chocolates: These have an external coating of chocolate with a centre clearly distinct through its composition from the external coating, but it does not include flour confectionery pastry and biscuit products. The amount of chocolate component of the coating shall not be less than 25 per cent of the total mass of the finished product. Composite chocolates: These contain at least 60 per cent of chocolate by weight and edible wholesome substances such as fruits and nuts. The edible wholesome substances shall not be less than 10 per cent of the total mass of the finished product. Cosmo Fine Foods Pvt. Ltd. Milk Chocolate : Cosmo Fine Foods Pvt. Ltd.
Gujarat co-operative milk federation Ltd. 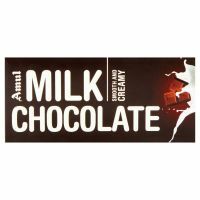 Milk Chocolate : Gujarat co-operative milk federation Ltd.
Mars International India Pvt. Ltd. Milk Chocolate : Mars International India Pvt. Ltd.
Rajhans Nutriments Pvt. Ltd. 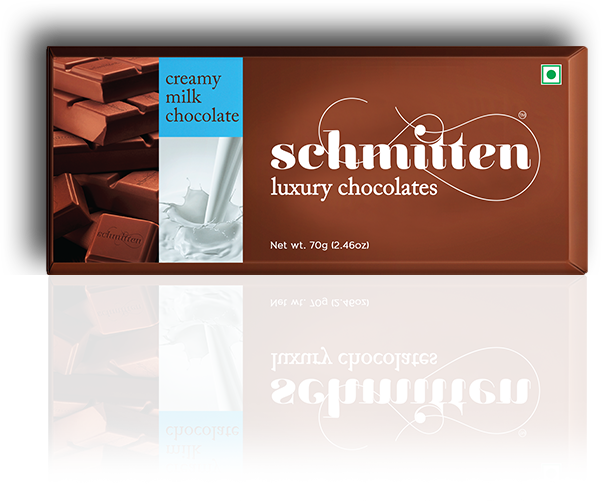 Milk Chocolate : Rajhans Nutriments Pvt. Ltd.
Tree of life Pvt. Ltd. Milk Chocolate : Tree of life Pvt. 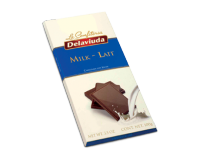 Ltd.
As per FSS Regulations, milk fat (on dry basis) in milk chocolate should not be less than two per cent by weight. So, higher is better for consumers. Milk fat exceeded the prescribed legal limit in all brands. Highest milk fat was found in Hershey’s Nuggets (4.89 per cent) and lowest in Amul (2.75 per cent). An important factor in determining the intensity of a chocolate’s taste is the cocoa content, including the cocoa mass and the cocoa butter. Cocoa solids are a mixture of many substances remaining after the cocoa butter is extracted from cocoa beans. Cocoa solids can range from a light brown to a deep reddish-brown colour. As per FSS Regulations, cocoa solids (on moisture and fat-free basis) in milk chocolate should be not less than 2.5 per cent by weight. So, higher is better for consumers. In all the brands, cocoa solids were found to be more than the prescribed legal limit. Highest percentage of cocoa solids was found in Amul (3.82 per cent) and lowest in Cadbury Dairy Milk (2.58 per cent). As per FSS Regulations, chocolates shall not contain any vegetable fat other than cocoa butter. Vegetable fat was not found in any of the brands, indicating they were free from adulteration. Presence of lead indicates metal contamination in food. As per FSS Regulations, lead should not be more than 2.5 mg/kg (food not specified). Lead was not detected in any of the brands. This is good for consumers. Had labelling as required by FSS Regulations. Chocolate : Had labelling as required by FSS Regulations. Had labelling as required by FSS Regulations. 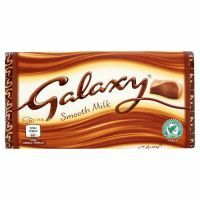 Milk Chocolate : Had labelling as required by FSS Regulations. To Recieve updates and possible rewards for Milk Chocolates please sign in.